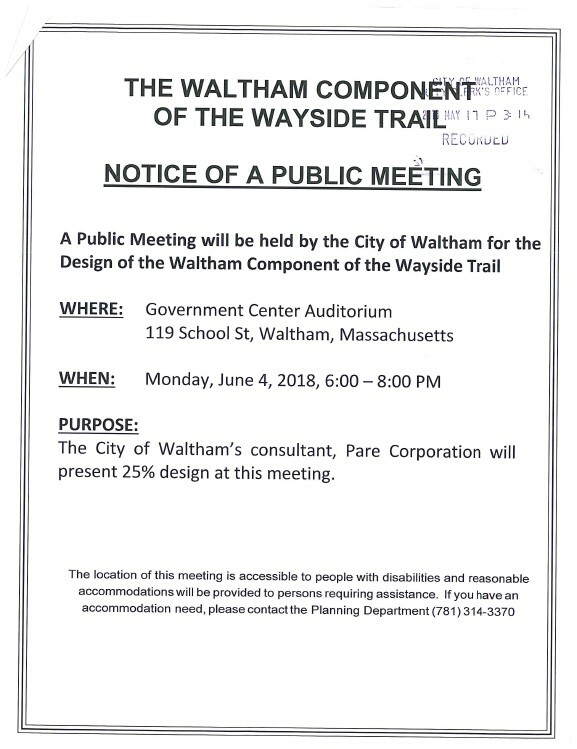 The City of Waltham will hold a public meeting regarding the design of the Wayside Rail Trail. It will take place at Government Center Auditorium, 119 School St, Waltham MA, 0n June 4th, from 6:00pm to 8:00pm. Government Center is wheelchair accessible. The Wayside Rail Trail is part of the Mass Central Rail Trail project shown on this map. Read all about the Mass Central Rail Trail project.